Back in 2014, a Kickstarter project was launched by Ekuator Games to create a role-playing game reminiscent of the 16-bit and 32-bit eras of the video game industry and the golden age of the genre. Celestian Tales was born using the Unity engine and is is going to be a trilogy of games where the decisions you make have both weight and consequence from one game to the next. Celestian Tales: Old North is the first game in the Celestian Tales trilogy and, as such, sets up the world, characters, and story. Does Celestian Tales: Old North represent the golden era of RPGs or is this a tale worth forgetting? They appear to be standing on a painting more than a boat. 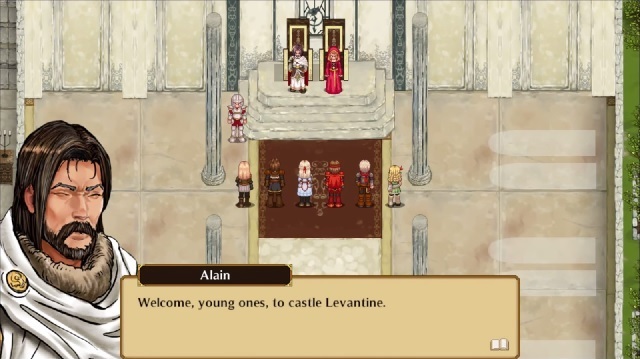 Celestian Tales starts off with the player choosing between six main characters. This is an important choice as not only does the story play out from the chosen character’s perspective, but it also makes the chosen character the lead party member. Each party member represents a different class, such as an archer, warrior, healer, etc. Classes are identified by their weapons and skills. Every character has a unique weapon to equip on them. The remaining five characters will be your remaining party members who can be switched in and out. The six main protagonists are Aria Geraldine, a noble lady who upholds her beliefs and will not tolerate anyone who goes against her believes or practices in forbidden heaven practices; Camille Ryne, a lady who was born into the largest merchant family and always has a knack for goods and hopes to someday see what lies beyond the Old North; Issac Goldenlake, a man who lived amongst the commoners and worked hard to help his family pay off its debts. He comes to resent Nobles who prey on the less fortunate and force them into debt. Lucienne Leroux is the daughter of Selene Leroux. She aspires to be a knight just like her uncle as the Leroux have defended the Old North from enemy threats for generations. Reynard De La Foret is a man who loves to fight. He always itches for a battle and constantly looks for ways to test his brute physical strength. And, lastly, there is Ylianne, a half-human elf. She is always curious about humans and often asks questions about humanity’s practices. The six main characters prepare for a grueling journey. After choosing your character, the quest begins. All six characters go to Levantine to become squires for Lord Alain. Once they arrive, they take on various quests as they take one step closer to becoming knights and eventually must stop the Enders, a barbaric tribe that has come to invade the land. Celestian Tales can either be controlled with a keyboard or a controller. 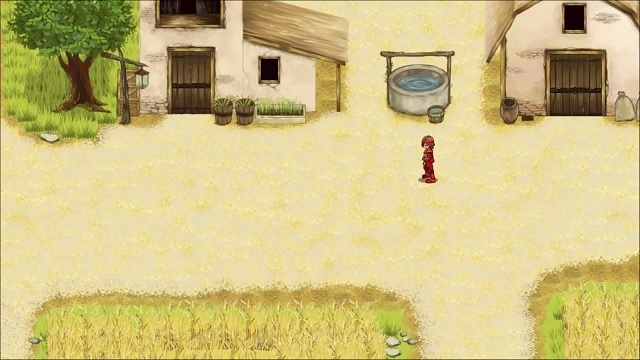 The game is a traditional turn-based RPG. The order of who goes first in battle is determined by the stats of each character and enemy. In the different routes and towns, enemies can be seen as dark shadows. Touch one of the shadows and a battle will ensue. The battling party consists of three members while the other three sit on the sidelines. The party can attack, defend to receive two stamina points, use an item, or run. 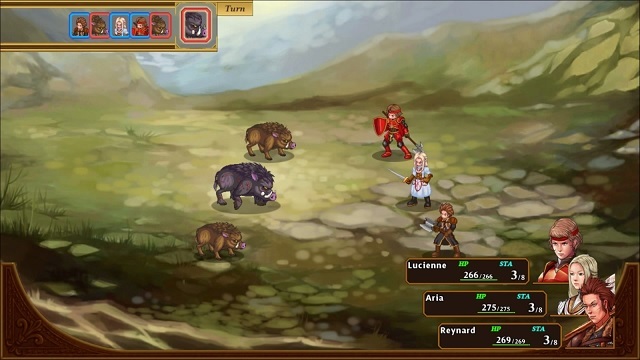 As the game progresses, all six characters learn skills and passion skills to aid them in battle. Passion skills will give characters enhancements and abilities while battle skills are special attacks used to attack enemies for high damage or attack a group of enemies at once. In order to use skills, stamina points are required. Every skill has a set cost of stamina points. Each party starts out with three stamina and can be increased through actions. Each character can have up to eight stamina points at one time. Only four skills can be equipped at a time. It is best to customize your characters and swap out skills and of course equipment to improve your strategy. Celestian Tales takes an interesting approach to character levels. Rather than have individual levels, the game opts for party levels. If the party level is at 10, then the entire party is level 10. The upside to this leveling system is this game cuts down on grinding. During my playthrough of Celestian Tales, I never had to grind up my party. As long as you don’t avoid battles, grinding is never a necessity. When a battle is over, the party is instantly healed and all status effects (with the exception of wounds) are removed. Wounds will not prevent your characters from fighting, but they will not be as strong in the battlefield. The only way wounds can be healed is to go to an infirmary or a church. Boss fights were a little lackluster, as 80% of the fights have two weaker enemies followed by the boss himself. This pattern continues until the final chapter where the boss fights are handled differently. The graphics are a mixed bag. To start off with the positives, the sprites are stunning and visually appealing to the eyes. The sprites are highly detailed, colorful, and look modern while remaining true to the 16-bit and 32-bit styles. The game’s art style is represented by the use of hand-drawn pastel paintings. The hand-drawn characters were done well, but the backgrounds are muddled and sometimes flat. It brings a stark contrast to the sprites. 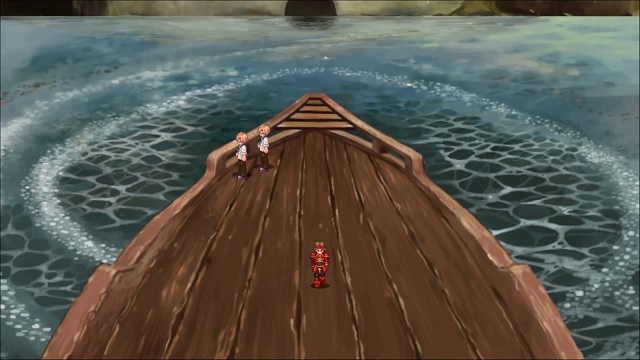 One of the background scenes gave off the impression the characters were standing on the painting of a boat rather than on a boat. The music is fantastic with smooth, melodic instruments and an upbeat tone. The best musical piece in the game is no question the boss theme. The boss theme is a great motivator for players to focus on the battle and the mixture of drums and piano stands out — the piano really stands out. One of the big draws to the game is the morality system. Like other role-playing games, Celestian Tales will let players choose answers to some tough questions in the game. The issues presented in the game are not black and white. All the moral and ethical issues are gray, as there is no right or wrong answer. Players will ask if it’s right to banish someone for using forbidden arts to save lives? Should a pack of criminals be hanged to death or just put on trial? Is it right to have one risk his life to save many? The only downside was that there were only four times during the game I got presented with a situation and a choice to make for it. The moral choices, at least here in the first game, hardly affect the story or ending. I do not spoil major plot points in my reviews, but I do want to mention the ending of the game takes an interesting turn, and there are two possible endings or, in my case, only one since I chose Lucienne. In order to experience the full game, the game has to be played a minimum of six times or once with each character. As I begin to play the game again — this time as Issac — I came to find the main events do not change from character to character, and only a few scenes and sequences are different. The initial game is only five hours long. For those who want to complete the game, there is more for you to do. 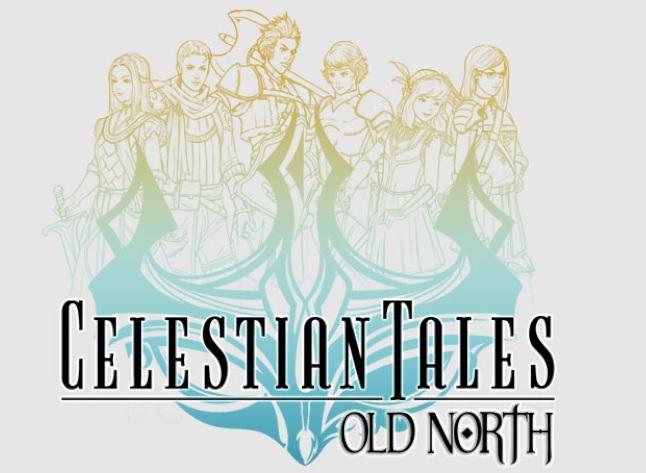 Celestian Tales: Old North is a good start to the trilogy. The initial game is short, but, for the players who want to play through the game with all six characters to gain the full story, they will spend more time in the Old North. Veterans of role-playing will likely find the game too easy. The game is simplistic, the battles are quick and efficient, and the sprites look good. The only major fault I can find with the game is the abundance of areas I could not access and the lack of moral choices for the players, but maybe they will be accessible in the next two games. This is an easy recommendation for fans of classic role-playing games who want to have a quick adventure. Review copy supplied by the publisher and is based on the Steam version of the game.